Contractors who choose to use a specialist mortgage broker who understands how contractors work and has strong relationships with mortgage lenders should have little to fear from the Mortgage Market Review introduced in the spring of 2014. Selected lenders continue to offer contractors mortgages based on their gross annualised contract rate, so in many respects it is business as usual. It is contractors who choose to go to high street lenders who will be feeling the downsides of the mortgage market review, as most lenders cannot cope with the infrastructure and training requirements of the new regime imposed by the Financial Conduct Authority (FCA). What changes has the Mortgage Market Review introduced? The new measures related to applying for home loans were introduced by the Financial Conduct Authority’s mortgage market review (MMR) in April 2014. With the review came a raft of new measures designed to ensure that contractors, and other borrowers, can afford their mortgages. Lenders are now required to provide both qualified advice and to review affordability by quizzing borrowers in detail about their income and expenditure. This means contractors are required to provide more information about what they earn and, in detail, what they spend their money on. However, high-street lenders under-estimated the requirements of implementing the review, so did not have sufficient numbers of trained staff ready for the changes. Most purchasers and sellers expect a four to six week turnaround to get a mortgage offer, but this is now rarely deliverable when dealing direct with a lender. In practice, many advisers have always employed professionally qualified staff, as now required by the regulations and a good broker will always have conducted affordability checks so for well established firms MMR will have been business as usual. The result of MMR for many non-contractor borrowers, or those contractors who don’t use a specialist mortgage broker, has been very negative. Estate agents eager for a sale that is being held up by mortgage lender’s delays have taken the opportunity to introduce gazumping. This is not helping anyone and is causing a strain on the market, and distress for purchasers. Borrowers are in effectively the same financial position as they were in March 2014 before the new rules were introduced, but now have to satisfy a raft of additional new requirements that has meant that the mortgage is now deemed unaffordable. There have been many scare stories reported in the media, such as intrusive questions about borrowers’ lifestyles: It has been reported that some lenders are asking questions about the amount of takeaway food or steak borrowers consume. In reality, these crazy stories reflect a new climate of more prudent lending, where lifestyle-related expenditure isn’t simply ignored. Whilst a gym membership isn’t likely to be regarded as an extravagant luxury on its own, combined with over-spending on eating out, clothes shopping, and socilaising; a lender may rightly take a dim view if the bank account is overdrawn for most of the month. The disappointment of a cap on borrowing is still only a temporary disappointment compared with mortgage arrears and the spectre of repossession. With specialist lenders who understand contractors, it is not the affordability tests that might hold up an application but the processing delays: Specialist underwriters understand that contractors have substantially more disposable income from their gross fee income compared to an employee’s salary. Across the board lenders are asking for more details however and people on non-standard incomes, with high loan to value requests, or in an income-stretch scenario, are facing tightening criteria. 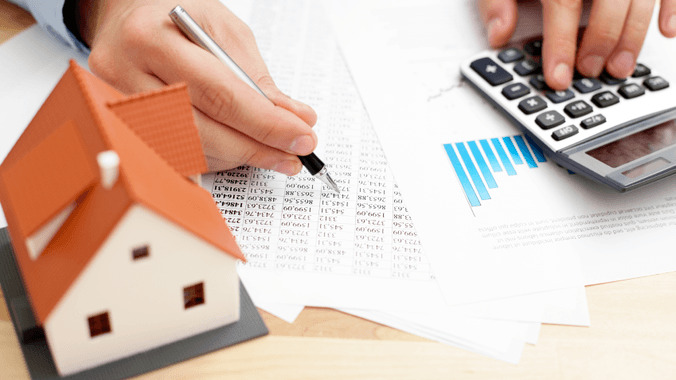 Read this guide to the mortgage assessment criteria. Risk aversion is creeping into the market. But this is symptomatic of lenders’ fears about the regulator and demonstrating their application of prudent lending, and less about the prospect of the UK’s property and mortgage market going sour any time soon. The practice of fast-tracking has been a casualty of the mortgage market review: In the past a fair number of applications from non-specialist advisers or direct to lenders were fast-tracked through underwriting. By fast-tracking, lenders did not ask for supporting information, and only conducted a basic credit check. The assumption was that the contractor would pass a plausibility overview and not need to provide bank statements, accounts and contracts. Contractors can no longer benefit from fast-tracking, although contractors using a specialist should be presented in the proper context to a lender to ensure a successful application, and shortcuts like fast-tracking shouldn’t be necessary anyway. What can contractors do to expedite the process? Much of the best practice for preparing a mortgage application has not changed. Contractors will need to have their latest contract to hand and a squeaky clean credit record. This is because lenders use any glitch on a credit file to ask even more details to satisfy themselves that a contractor borrower does not represent a credit risk. Two forms of ID, such as a passport and driver’s licence. When applying via a specialist contractor mortgage broker, the initial conversation should not take more than 15-20 minutes. This is compared to the 2-3 hours a high street lender currently requires. See this guide for more information on process and timings for your mortgage application. Securing mortgage appointments with high street lenders is now ten times harder, given the strains on their infrastructure. Contractors applying for a mortgage or remortgage are more likely to be offered the funds they need using a specialist mortgage broker to apply to a lender that understands contractors.